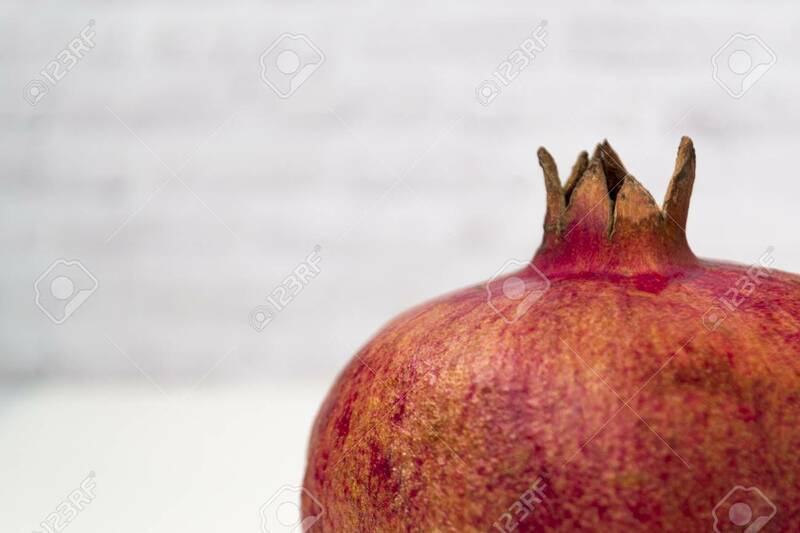 Single Ripe Pomegranate Fruit Isolated On White Background. Fruits And Vitamins Banque D'Images Et Photos Libres De Droits. Image 119149005.